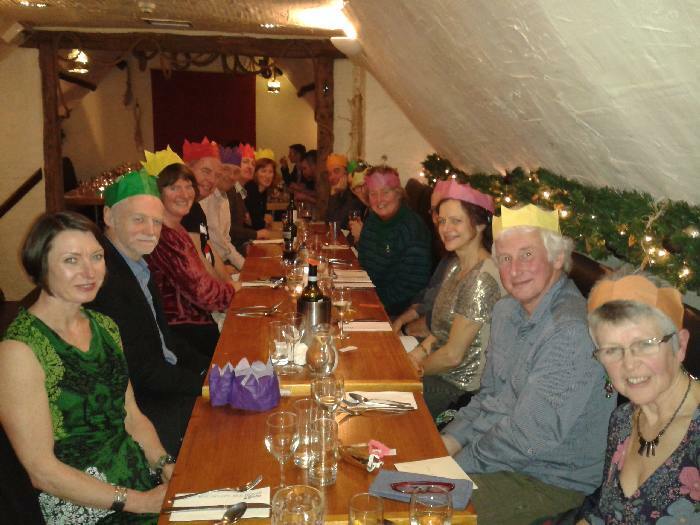 The Club Christmas social was held at the Walmgate Ale House and Bistro (formerly 'Meltons Too') in York. We met for a drink in 'The Hop' beforehand to have a catch up, and share stories with those who had made it out for walks in the Dales after the recent snowfalls. Then onto the Ale House, where we sat up in the cosy 'Loft' area. The food was good and of course being Christmas the crackers, paper hats and terrible jokes were all part of the occasion! After the meal, some stayed in the Ale house to catch up with friends, while others headed to the 'Last Drop Inn' on Kings' Sq for a nightcap before heading home. A great night out was had by all, have a Happy New Year and see you in 2015! The next generation of YAC-ers? 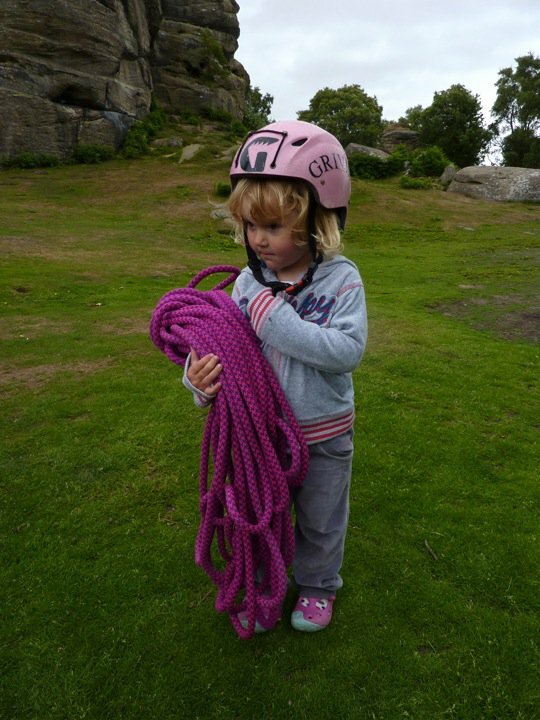 The current generation of YAC aren't getting any younger, more's the pity, and it's time we started looking for the next Adam Ondras, so to kick this off YAC held its first child friendly climbing day at Brimham Rocks. There was a great turn out with Pia Ashton and Joshua Everett winning the joint award for youngest climbers of the day at approx 2 ½. (although Helen could dispute that as she was v heavily pregnant!) There was also a good mix of YAC’s and non YAC’s with some family and friends tagging along as well. 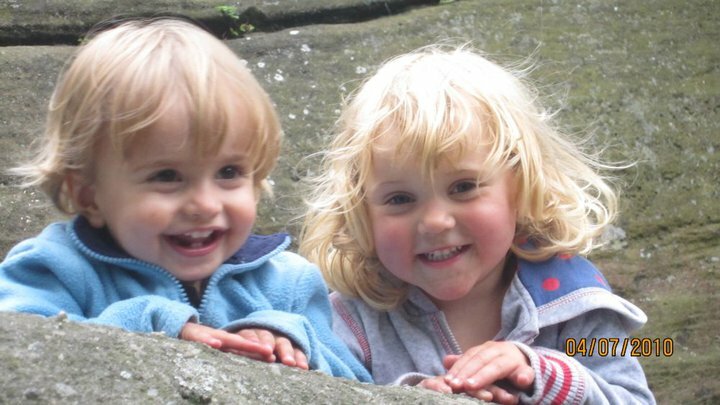 If I miss anyone out then I apologise in advance, but we had Liz, Joshua and myself, Ian Ashton & Pia, Ali & Poppy, Ian Brown & Mark, Helen & James, Steve, Roz, Toby & Hugo, Rob, Peri & Kirk, Tom & Fliss, Debbie & Meredith and Richard (Foxy) Hampton and daughters. We then headed down to cubic block with Ian A to let Pia and Josh run round on the boulders. The rain came in at about 2pm and we took that as a cue to head home as Josh was getting tired. A few others stayed around to enjoy the evening sun with Peri leading Desperation Crack (HVS) and Rob leading Picnic variation (HVS) among others, before they headed down to Gnome Arete area at the end of the day. All in all a good day and one to be repeated again, possibly at a different location though to stop everyone getting so spread out and separated in the Brimham maze. More of Robs pics ..
Do the Shu-ga-Loo , Do the Shy Tuna, Do the Camel Walk, Do the Hip-o-crit, Do the Coo-ca-Choo, Do the Aqua-Velva, Do the Dirty Dog, Do the Escalator and don't forget the hippy hippy forward hippy hippy hippy hippy hippy shake…. 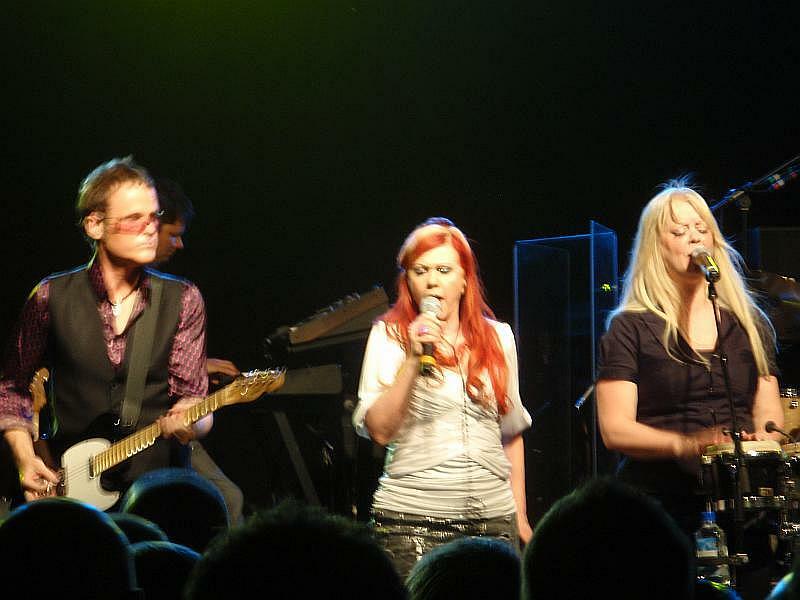 So it was time to put on some glad rags, ok for me it was a clean shirt and tidy jeans, and it was off to Manchester with Peri to see the B52s the best dance and party band ever…… ( well I know a lot of people who think this is correct and I would agree with them ). The audience was definitely more mature than some concerts I have been to recently but there was a number of younger fans who were certainly enjoying themselves. The B52's played a great set, it was a mixture of songs from the new album and a number of old classics like Love Shack, Roam, Planet Claire and Rock Lobster. 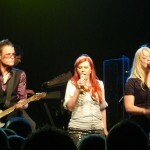 They were on stage for 85-90 minutes, a lot longer than some younger bands. I even went to Birmingham the next night to see them again, TIP Manchester Academy is a much nicer venue than Birmingham Academy for seeing bands, better parking and even air conditioning. You are currently browsing the archives for the Socials category.